The conference was opened by the general secretary, John Douglas. His remarks were not “grandstanding” or throwing shapes but instead he spoke of how proud he was to represent Mandate. He outlined how far the union had come from the last conference, and where they needed to go and to be at the next conference in two years’ time. Mandate is aware of the need to build its density in every work-place to counter the growing pressure from increasingly aggressive employers, such as Tesco. It was clear from the delegates, coming, as they did, from the shop floor, that they needed little encouragement. It was also clear that the members are proud of the leading role played by their union in the Right2Water struggle. The union has accumulated a lot of experience and learnt a lot of valuable lessons from the many struggles that its members have been involved in. It has been involved in grim battles with Dunne’s Stores, Tesco, and Lloyd’s Pharmacy, to name a few. The assistant general secretary of the union, Gerry Light, put it clearly when he condemned the anti-union behaviour of such employers as Dunne’s, Tesco, Paddy Power, Lloyd’s Pharmacy, IKEA, TK Maxx, Lidl, and Aldi. He called for statutory collective bargaining rights for workers, commenting that “in recent years employers have decided, probably in collaboration with each other, to hide behind an extreme interpretation of the voluntarist industrial relations model of engagement. Top of the the union’s agenda is the need to secure legislation regarding “banded-hours” contracts. Mandate has been involved in an intense lobbying of politicians of all political parties and independents to secure legislation on such contracts that would give workers in the retail industry and other industries protection against precarious work, flexible hours, and “we’ll call you when we need you.” This has had a positive effect, giving members a sense of their potential political power if organised and focused. A number of progressive resolutions were adopted during the two-day conference, dealing with pensions, public housing as the only way to solve the housing crisis, workers’ rights on the shop floor, and solidarity with workers in Colombia and with the Palestinian people. 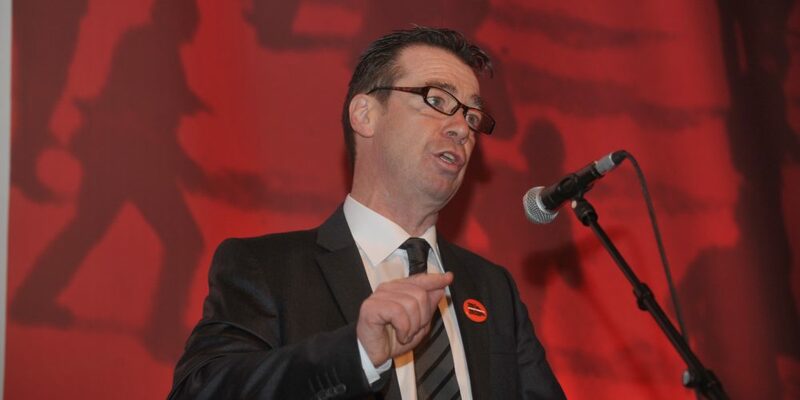 One of the most important resolutions, moved by the Arklow Council, called on Mandate to campaign along with the ICTU for the repeal of the Industrial Relations Act (1990) and for its replacement with legislation that would allow workers the right to be represented by a union, to allow workers to effectively defend themselves. The existing act, in particular part 2, is deeply anti-worker and imposes grave restrictions on the capacity of trade unions to defend their members and advance their interests. There is a constant refrain from non-unionised workers that unions do nothing, when in fact it is not that unions won’t do anything but that the laws make it very difficult. If we want more effective trade unions then we need to mount a more effective resistance to these anti-union and anti-worker laws. If you are shackled by rules and regulations, this creates huge difficulties. So joining a trade union will give workers strength and in the long run give us the necessary muscle for advancing our interests. 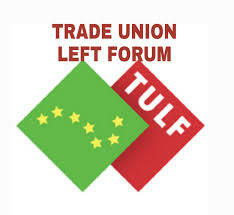 The conference was a solid display of workers ready and willing to defend themselves and their trade union. It was a solid expression of working-class solidarity, not grandstanding and over-the-top speeches, just working, planning and understanding the tasks ahead, aware of the forces ranged against them but nevertheless not intimidated by the challenges.